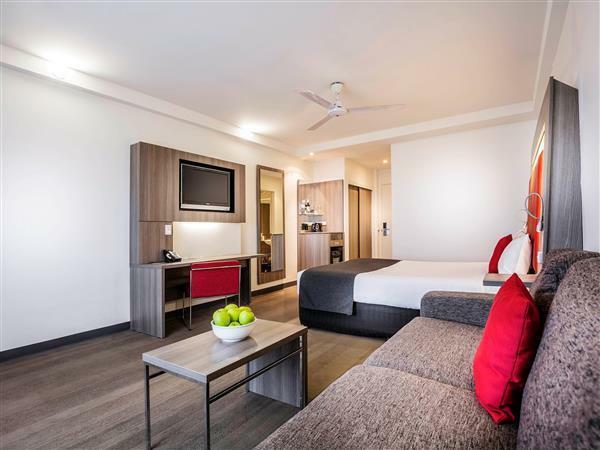 يشكل فندق Novotel Darwin CBD بموقعه الممتاز في منطقة سياحة, مطاعم, ثقافة ضمن المدينة، مكاناً ملائماً لقضاء العطلة بعيداً عن عجقة أيام العمل. يمكن من هنا للضيوف الاستمتاع بسهولة الوصول إلى كل ما تقدمه هذه المدينة النابضة بالحياة. يوجد العديد من المعالم السياحية الأكثر جذبًا للسياح في هذه المنطقة. 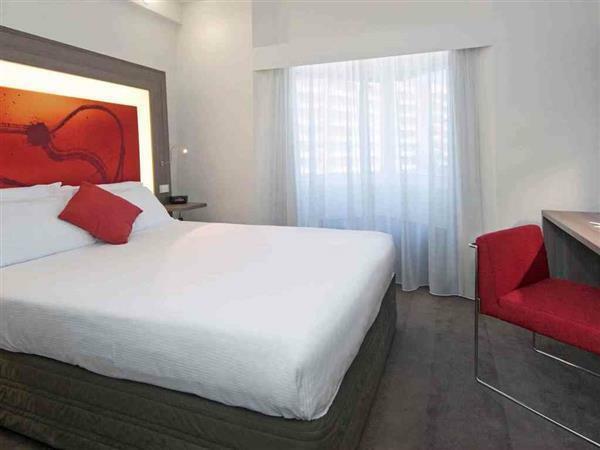 كما يقدم Novotel Darwin CBD الكثير من الخدمات لإغناء رحلتك في المدينة. يمكن لضيوف الفندق الاستمتاع بالميزات التالية على أرض الفندق: خدمة الغرف على مدار الساعة, واي فاي مجاني في جميع الغرف, مكتب الاستقبال على مدار الساعة, مرافق مخصصة لذوي الاحتياجات الخاصة, تخزين الأمتعة. في الفندق غرف نوم يتجاوز عددها 140، كلها مجهزة بعناية وجمال وبعضها مزود بـ تلفزيون بشاشة مسطحة, اتصال لاسلكي بالإنترنت, غرف لغير المدخنين, مكيف هواء, تدفئة. يقدم الفندق خدمات رائعة كمثل حوض استحمام ساخن, حمام سباحة خارجي, سبا لمساعدتك على الاسترخاء بعد نهار طويل من النشاط والتجوال في المدينة. مهما كانت دواعي سفرك فإن Novotel Darwin CBD هو خيار ممتاز لإقامتك في المدينة. Great location and lovely staff. We stayed in a base level room but had a separate lounge room! Nice views to the water and just a short 2 minute walk to the bars and restaurants of Mitchell Street. Hotel is open 24/7 and it was a breeze to arrive and check in after the midnight flight arrival. Stayed in a 2-bedroom apartment, bed was comfy, bathroom was great, and we had a kitchen with crockery. Breakfast/dinner restaurant is popular, as is the bar. Will definitely stay here again, we all loved our stay. We had a comfortable room, good bed, wifi just outside the door but not in the room. Good shower. Tv pretty poor reception but the atrium was a lovely environment and the happy hour in the bar there was pleasant and friendly. Loved the restaurant, ate there a lot. We had a very basic room but it was clean and the beds comfortable. A/C was a bit rattely on and off but was bearable not to complain. Location was good for access to Mitchell street bars and restaurants. Parking was limited. I was VERY pleased with the entire experience from Check In to Check Out; it delivered ABOVE my expectations! •the room I was allocated - top floor, view over the Arafura Sea, close to the lift, 11.00 am checkout, the buffet breakfast, the yummy LOCALLY sourced Barramundi dinner, from the Inhouse Restaurant; the pleasantness/helpfulness of 100%/ALL Staff; the cleanliness of the room; the Air Con; thank you! Very good hotel, on the Esplanade just of Mitchell street, but quite a long way from Waterfront. Not an easy walk on a hot day! Top floor rooms (on the Esplanade Side) have very nice views on to the bay. Very slow lifts take you down to gym, swimming pool and restaurant with good Australian breakfast. Supply of apples, clean linen & good air conditioning. Slightly disappointed with poor WiFi in the bedroom, had to use it outside or in the lobby. Telephone not working. Safe deposit not working! My early email request sent to hotel was not responded! The staff were most helpful every time I required assistance. The location is perfect. Room always cleaned to a superior standard. I enjoyed all the facilities at the hotel. The Novotel Atrium even runs children's movies every night in the atrium for the kiddies while their parents can have a drink and chat in the lounges. The bathrooms could have done with a few more choices of complimentary products. 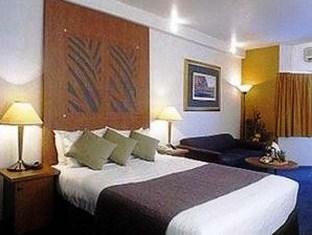 The location of the hotel is good, and the rooms are comfortable and clean. Two things could have been better. Firstly, when we arrived we were left to deal with three large heavy bags, a stroller, a car seat and a 16 month old baby by ourselves- no assistance offered. Secondly, the hotel charges an exorbitant rate for internet in the rooms. I was told by one staff member that wifi is charged while cable connection is not (which makes no sense, as the costs to the hotel are the same), but in fact, it was charged regardless. Internet is no longer an added extra for travellers, it is a basic necessity. My wife travelled on the way to Bali with 2 kids. The location is just near the beach and very close to the Crocosaurus. Just a walking distance. My kids were very very happy. They can hold a real crocodile. 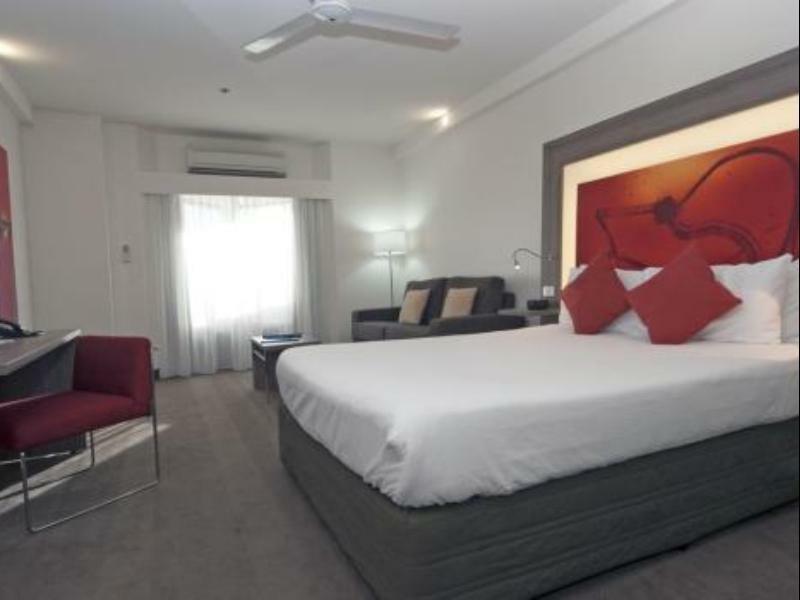 This is the recommended hotel to stay in Darwin. Enjoyable stay, great location can walk to many attractions and restaurants and shopping. Breakfast is an amazing feast, room was very comfortable. The lifts are very slow and had trouble adjusting the tv volume, but only minor concerns. buffet breakfast was excellent - great range. the chef was bringing out fresh produce at 9.50am when the buffet closed at 10am - great service. 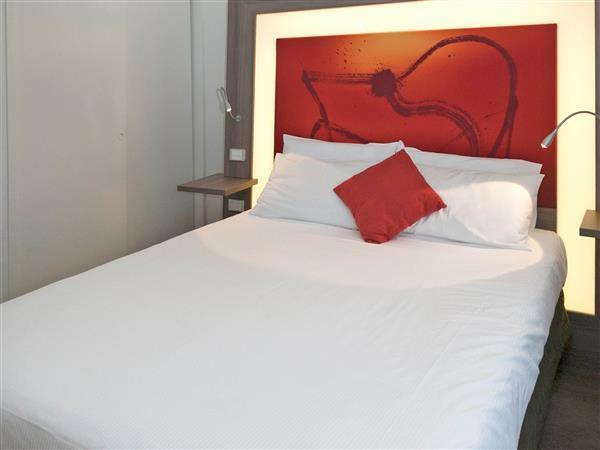 hotel has a great location on the esplanade and only minutes from mitchell street and the cbd. we got a $ dollar bed and breakfast deal on agoda - great value for money. I was very impressed with the room and as a plumber by trade couldn't see much wrong with bathroom. Other than it might need an upgrade before to long. Just a thought considering everything else looks great to the eye. Staff helpful and accommodating even held breakfast open so we could enjoy it. Room was clean and bed was comfortable. Loved the bar area in the foyer. Very private setting with plants around everywhere. Would recommend this hotel to a friend and would definately stay there again. we arrived and were upgraded to a spacious suite! the hotel was in very good condition, clean and everything worked well. the breakfast was very tasty, huge range and quite substantial. we walked to the botanical gardens and gallery and really enjoyed the realxed feel of darwin. the hotel was close to restaurants and supermarket for the things we'd left at home!